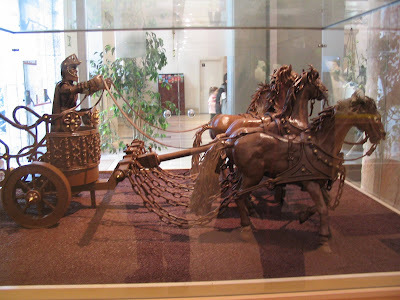 Beautiful Chocolate Ferrari: This life-size chocolate model of a Ferrari was made out of 4,405lbs of Belgian chocolate over a year. 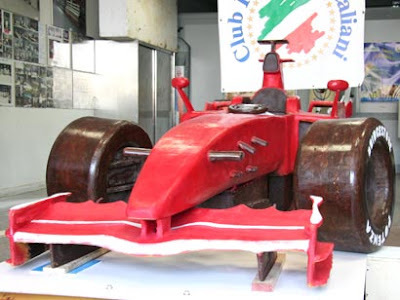 It has a red, edible coating and this £12,000 chocolate Ferrari is based on an F2008. 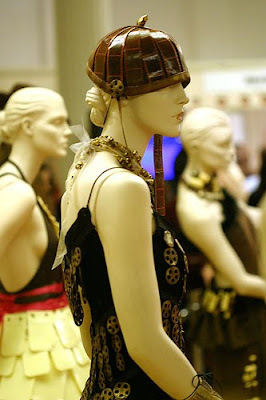 McLaren-Mercedes MP4/22: It weighs about 120 kilograms and measures 220 centimeters long. 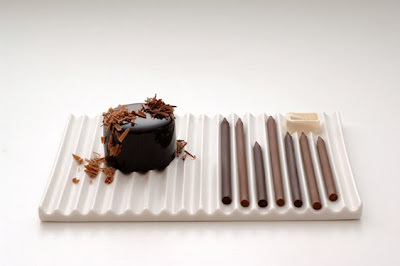 This chocolate cake looks almost identical to the original McLaren-Mercedes MP4/22. 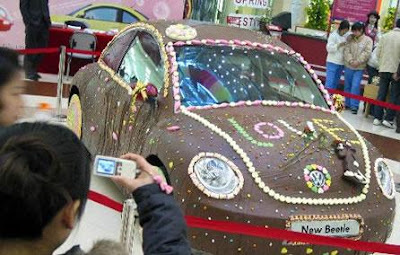 Chocolate Beetle: A group of artists covered a New Beetle in 440lbs. 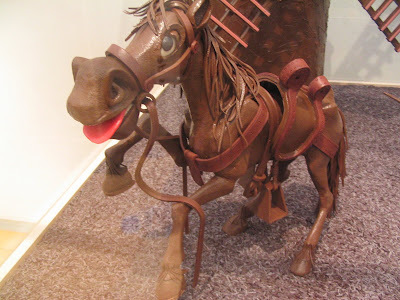 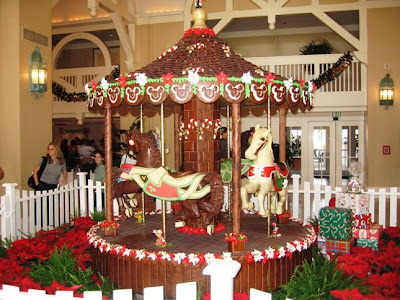 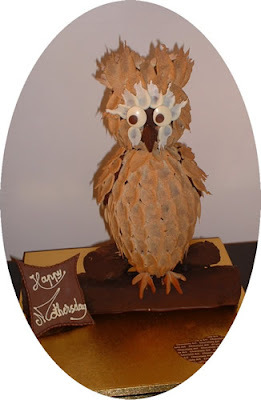 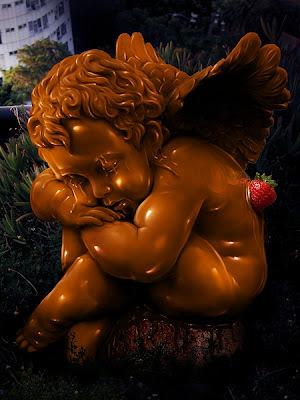 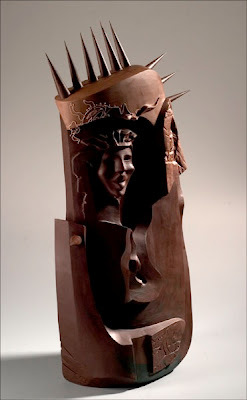 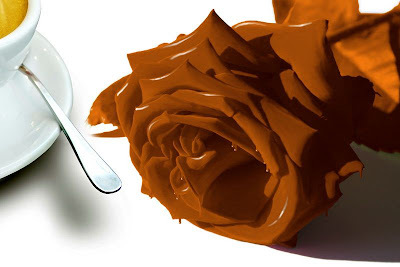 of chocolate and other candies. 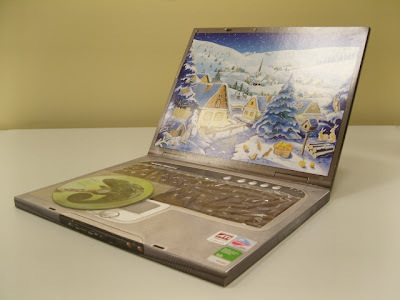 Chocolate Laptop: It weighs about 200 grams, looks cool. 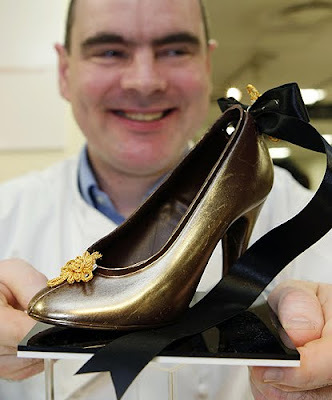 Chocolate Sneakers: These delicious miniature milk and chocolate shoes were created by +41 for the 25th anniversary of Nike's AF1. 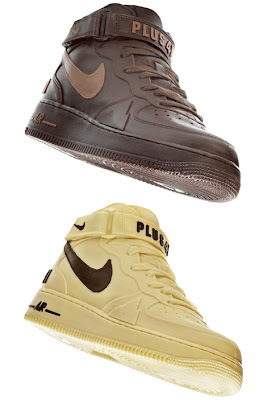 +41 also designed the large versions of the AF1 in dark and white chocolate. 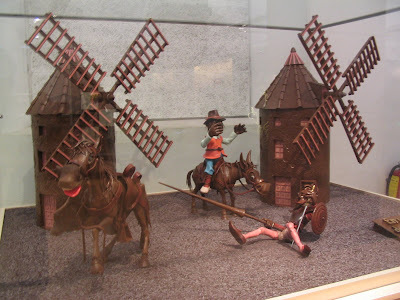 Chocolate Shoes: Chocolate Shoes from Gayle's Chocolates. 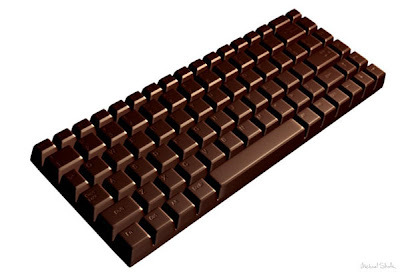 Chocolate Keyboard: This chocolate keyboard really looks quite real and delicious too. 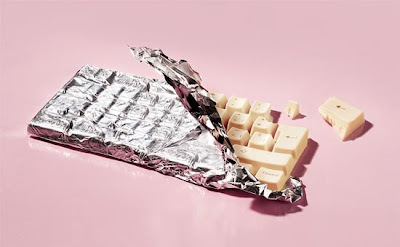 White Chocolate Keyboard: A chocolate bar shaped like a keyboard. 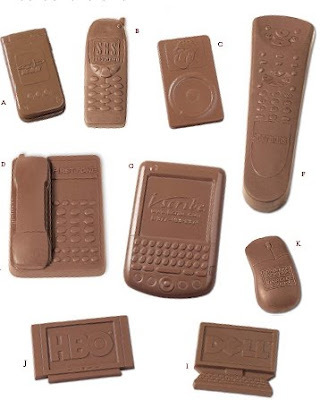 Corporate Chocolate Gadgets: These come from the technology collection of Creative Expressions' logo chocolate offerings. 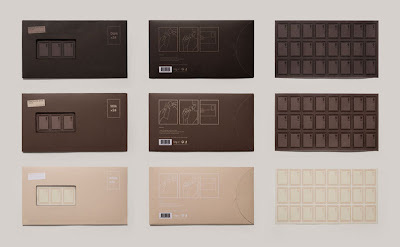 Chocolate Mail: Toby Ng Design "designed a set of stamps called Chocolate Mail, which comes in 3 flavors - dark, milk and white chocolate. 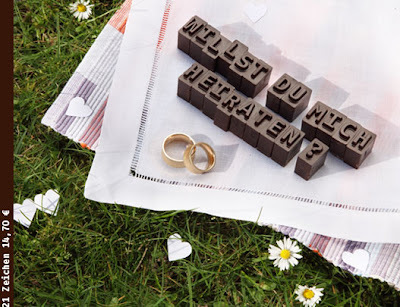 They are a set of 24 1st class stamps that are designed to look like a bar of chocolate, packaged as an envelope." 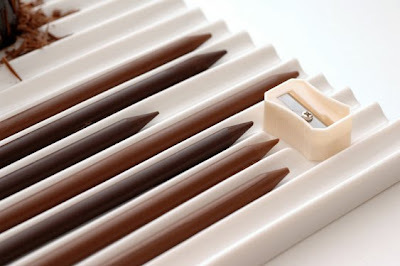 Chocolate Pencils: These come with a special "pencil sharpener" and the pencil shaving can be used onto the dessert. 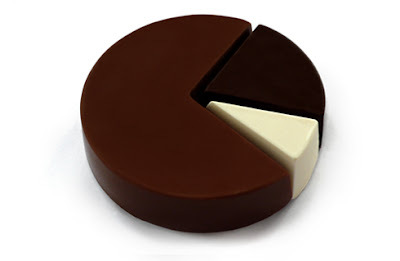 Chocolate Pie Chart: It contains 5.5 oz chocolate chart (3.5" diameter x 0.75" high), made of 70% milk; 20% dark and 10% white chocolate. 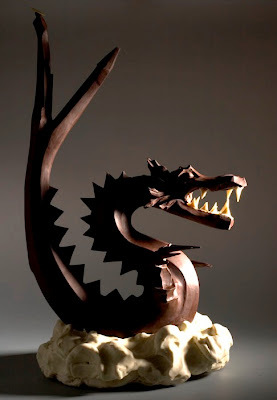 Chocolatepills: For this one you won't be needing water! 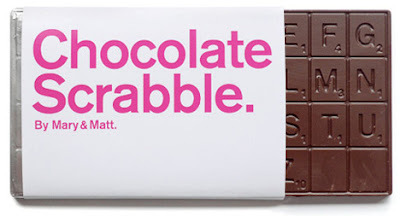 Chocolate Scrabble: "If Facebook's Scrabulous gets scrapped, at least there's still Chocolate Scrabble!" 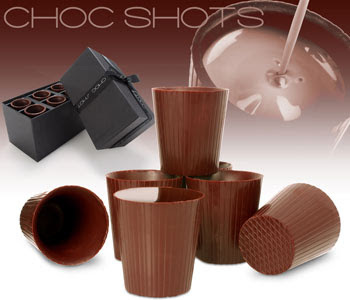 Chocolate Glasses: Made from the finest chocolate from Rococo Chocolates in London. 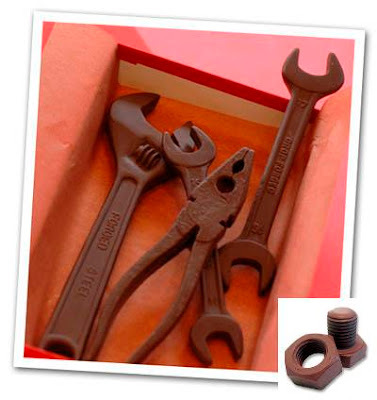 Chocolate Toolkit: It costs about $22, and it includes few pliers all beautifully made out of milk chocolate along with a presentation box. 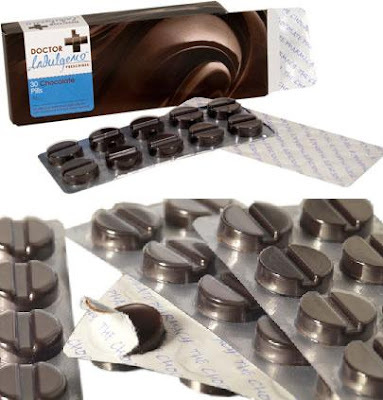 Rompibollo Chocolate: If you are weight conscious and think about the calories intake before eating chocolate, here is something for you: each of the chocolate piece has specific calorie count stated on top. 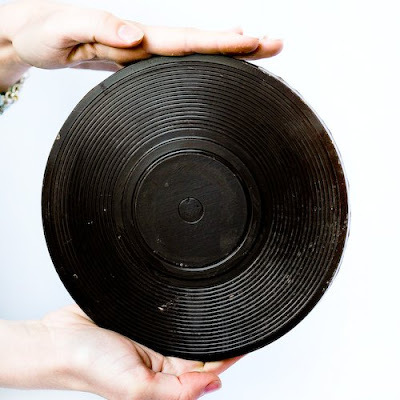 Chocolate Record: It measures 11" diameter x 0.5", costs $37, is available in three chocolate types: white; milk; dark chocolates. 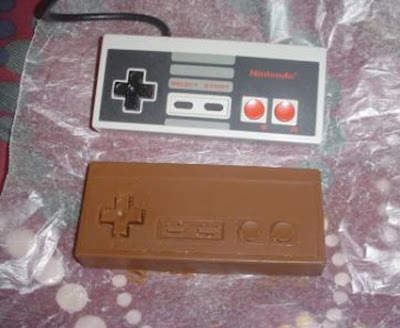 Chocolate Controller: Created from the finest Austrian milk chocolate, costs $15.